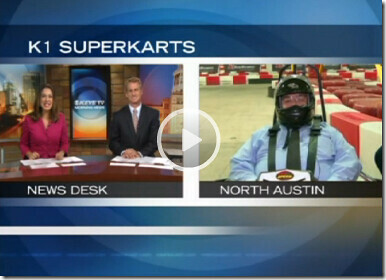 Kart racing can get your adrenalin pumping as you dash down the straightaways and negotiate hair pin turns. But this is no fun if the Summer sun is beating down on you and you’re choking on the fumes and dust of your fellow drivers. Well science has come to the rescue. K1 Speed has replaced the karts’ gasoline engines with powerful electric motors which makes things quieter and eliminates the fumes. And since there are no fumes you can bring the whole course indoors and enjoy racing in air-conditioned comfort. K1 Speed has setup shop in Austin in a huge warehouse area on McHale Court just south of the Intersection of Burnet Road and Braker Lane.